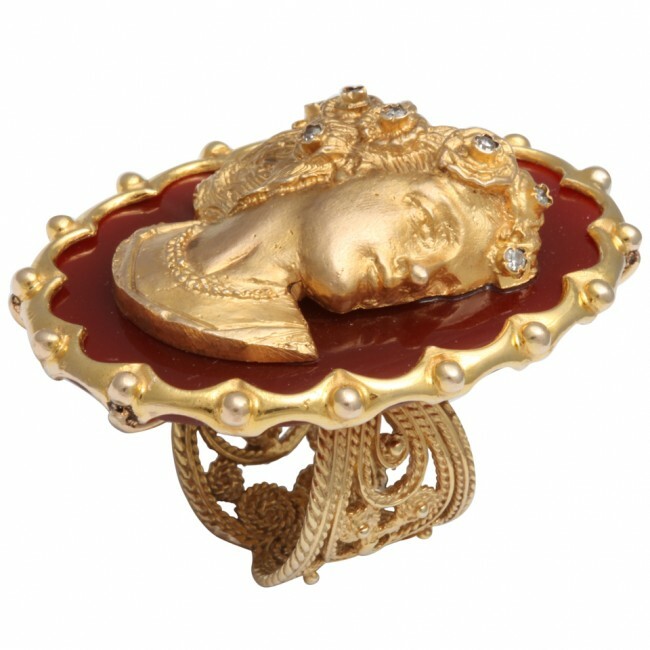 A cameo ring composed of an 18kt yellow gold casting of an old cameo which has been set on an oval agate and framed in 18kt yellow gold. There are scattered diamonds in the floral crown on the cameo. The shank is composed of an 18kt yellow gold casting of an antique earring. 18kt yellow gold, agate and diamonds.